I have received an award from ELK. 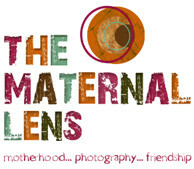 My daily blog regimine always includes a trip to her photo blog. She has a great style and seems to love the simple things of this world, as do I. This is my first blogging award, EVER! Yay! I guess I am supposed to tell you five things about me that you might not know. Hmmmmmmmm. Let me think. 1. I am very hard on myself. I have always tried to push myself farther and harder. I wish this would be more level and flow through all the aspects of my life but it doesn’t it is usually with mothering, homemaking, and my photography. I am always surprised when my photography does so well on flickr and usually credit that to my great contacts. I have to try to look at my stuff from a neutral eye. If anyone has pointers on how to stop this, let me know. 2. I love the color red. It fills my heart. 4. I was born in Las Vegas, Nevada on 7/11/??. I hear those numbers are lucky. 5. I love Honey Crisp Apples. They make my mouth water. If you have never had one you are missing heaven in an apple. I really should photograph them sometime. 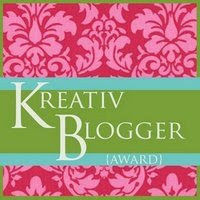 I am giving this award to…………..
maine momma her blog is like a breath of fresh air. She has great ideas and has a sweet soul that shines through in her writing and her photography. Congrats on the award. Love your photos! i love red too and Honey Crisp apples – best ever. in fact i have one right here in front of me ready to eat.